The two most feared cannabis pests are 2 Spot Spider Mites and Russet Mites. 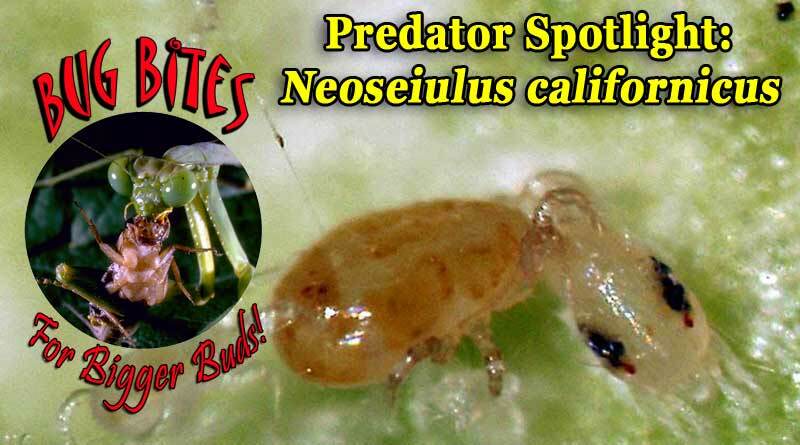 Neoseiulus californicus are an excellent mite predator that loves to eat both. 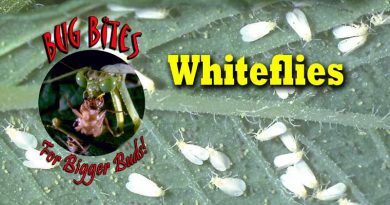 They have been used for decades to control Spider Mites, and have recently shown to be very effective against both Russet Mites and Broad Mites. californicus survive in a wide range of environments. 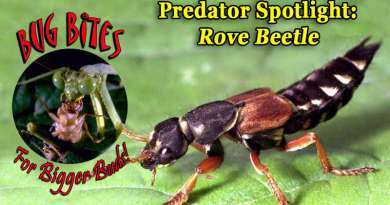 Their preference is warm and humid, but they can tolerate lower humidity and higher temperatures than some other predator mites. This makes them an excellent option for growers in Oregon. They can tolerate our heat and lower humidity. They reproduce best at temperatures up to 95 degrees, but can survive and feed in temperatures upwards of 110 degrees. N. californicus eggs are oval in shape and larger than a Spider Mite egg. At 77 degrees their eggs hatch in 2 days. Average temperatures above 77 degrees will speed up their reproduction. Females lay over 3 eggs per day on average and over 40 eggs during her lifetime. It typically takes 5 days to go from egg to adult. One of the benefits of N. californicus is they are commercially available in both bottles and hanging sachets. Bottles are good for getting a large amount of predators on plants that have an active pest infestation. This is a good strategy to catch up to an ongoing large pest problem. The downside is the bottles are filled with media that gets applied directly to the foliage. This works fine when plants are in vegetative growth, but when they are flowering you should avoid getting the media in sticky flowers. If you are more than a few weeks into flowering you should sprinkle the predator filled media into little containers or envelopes and place them throughout the plant. The predators can then crawl out and do their thing. N. californicus are also available in pre-filled hanging sachets which work great for both control and prevention. The predators in the sachets reproduce inside the package and slowly release for up to 6 weeks. This is a great way to keep a continuous supply of predators on your plants all the time. You also don’t have to deal with media getting on the flowers, so it’s a good option for later plant stages. I encourage growers to apply N. californicus sachets to all of their plants regularly every 3 to 4 weeks (along with currently recommended A. andersoni and A. swirskii sachets). 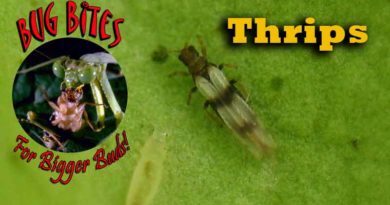 The combination of these 3 predators gives excellent prevention and control of Spider Mites and Russet Mites. Apply them early while the plants are young and before there are any pests on the plants. This way you have a number of predators crawling around your plants ready to eat whatever pest mites happen to show up. As I have said before … An ounce of prevention is worth a pound of the medicine. Nathan Jackson is the owner of Nature's Control, a company that supplies predatory insects to control pests in the garden. They also have a indoor grow store, Ladybug Indoor Gardens located in Phoenix, Oregon. Visit them online at http://www.naturescontrol.com/. Oregon Cannabis Connection is proud to have Nathan as a contributor to OCCNewspaper.com and our print publications, as well.